The title of this post might be deceiving. You might think I'm going to write from the perspective of a photographer, sharing tips for choosing an album company, ordering sample books, and marketing albums for clients. This post is written for my brides, my lovely lovely brides. Preparing for a wedding is a year-long (if not longer!) process. It's full of ups and downs, fun stuff (like cake tasting!) 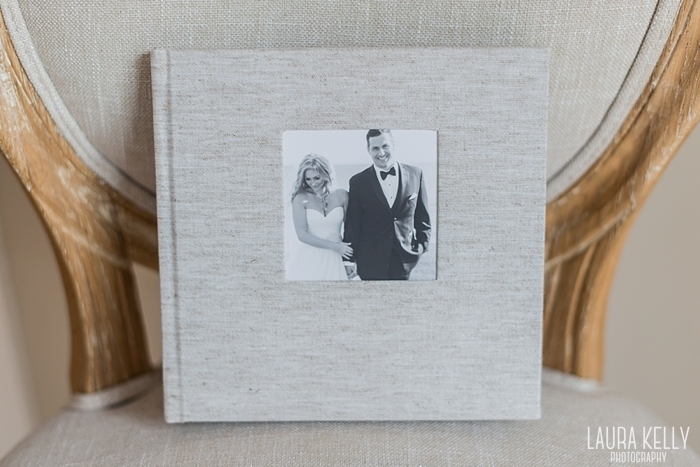 and painfully boring stuff (two words: seating chart), but all you'll have once the wedding day has come and gone is the ring on your finger, a ton of great memories, and the album that sits on your living room bookshelf. Albums start at 30 photos and there are options to upgrade to 50 or 100. My suggestion would be to do an initial look through your gallery, flagging photos that you think you'd love to have in your book. If that number if 45, you can probably shrink it down to 30 by eliminating a few photos that are similar. 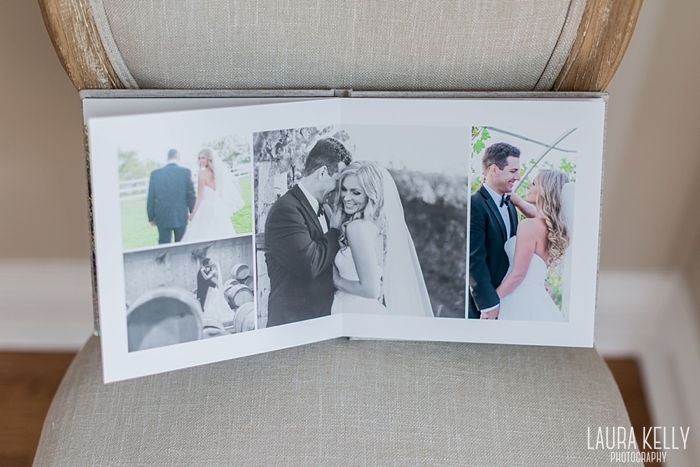 An album with 30 photos is generally simple and hits only the main elements of the day, whereas an album with 50 or 100 has more detail shots and a few more memories of candid moments and guests. 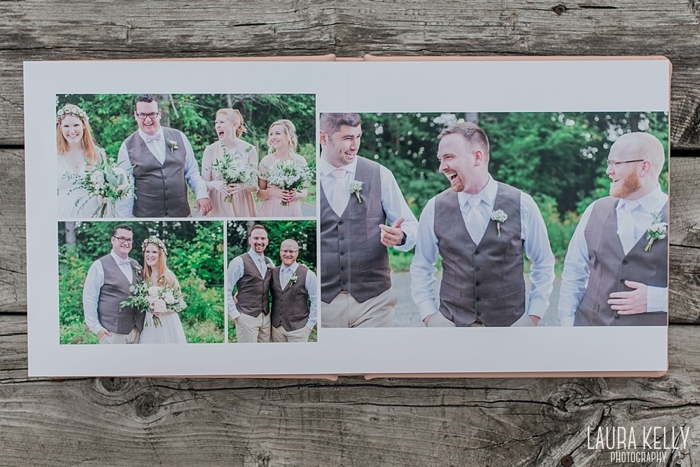 When narrowing down your large gallery to a small number of photos, it's easy to skip a photo of the church in favour of an extra shot of the wedding party. But a photo that sets the location of the wedding day becomes the thread that ties your wedding together and creates a story. 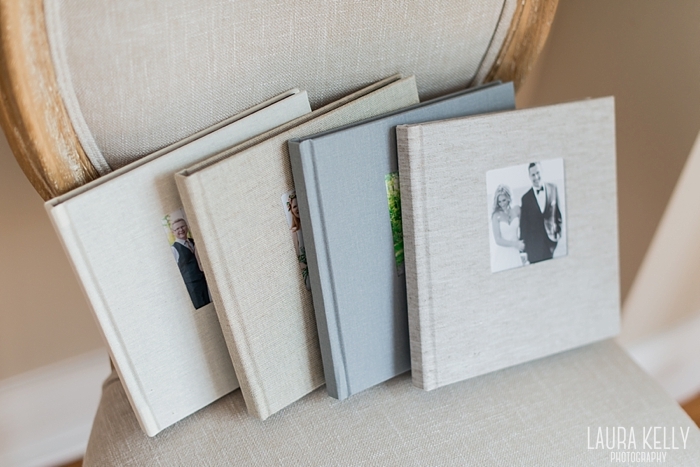 When choosing photos for my own wedding album, I was thinking of my future children flipping through the book in their teenage years. I am so glad I have photos of the ceremony setup and the resort where we got married in there to piece it all together. 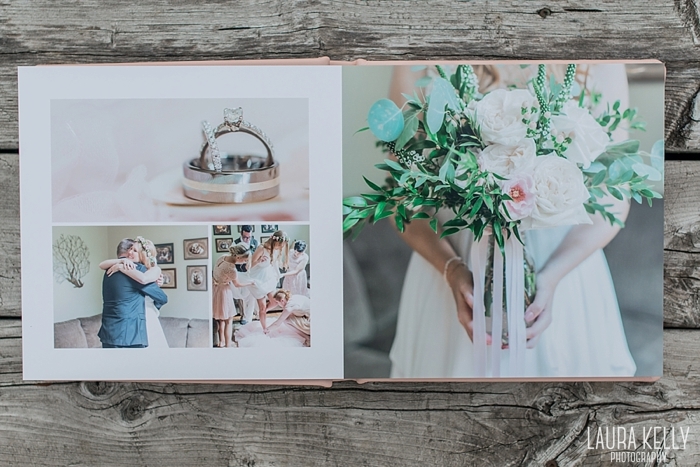 Even if it's just one or two photos, detail shots add a LOT to the look and feel of the book. 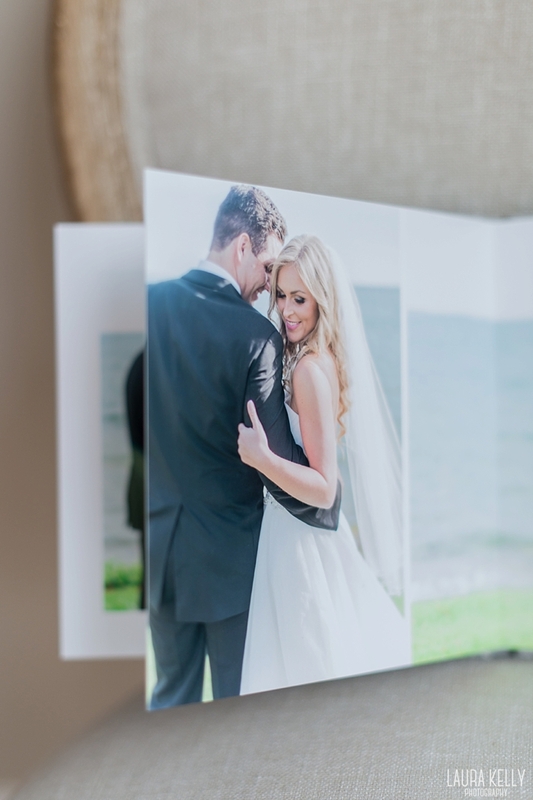 I love when a bride chooses a photo of their invitation. I almost always put that photo on the first spread as a way to document the date, time, and details of the day right off the bat. 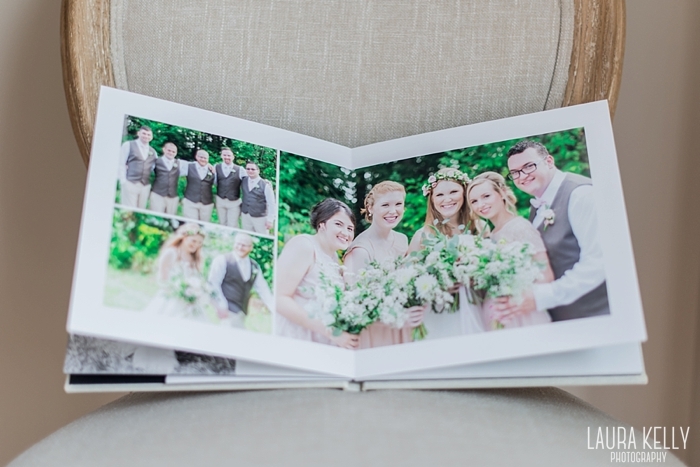 It's easy to feel pressure to include a photo of each family member in your book, and what ends up happening is you'll spend 3 photos on bride-with-mom, bride-with-dad, bride-with-brother, when you could opt for 1 photo of all 4 of you together. Your album will likely spend it's entire life in your living room, either on your book shelf or on a coffee table. You want it to look like it fits in your home, rather than choosing a cover that might match your wedding colours. When in doubt, neutral covers are absolute perfection. Experiences from couples who chose a "first look"